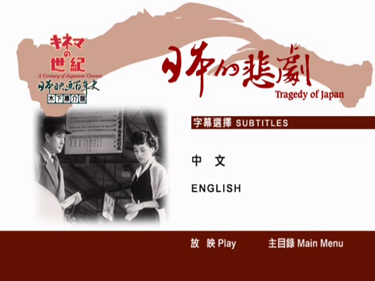 Synopsis: At the close of the war in Japan, a widowed mother makes every possible sacrifice to bring up her ungrateful son and daughter who are unimpressed with their poor standard of living at home. They gradually reject her in search of the material comforts that working as a maid cannot provide. The mother's despair becomes interminable. 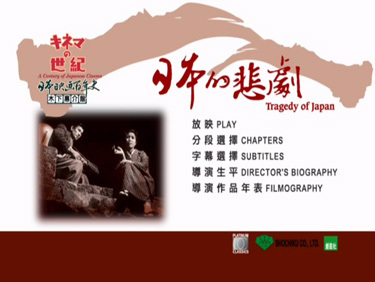 Kinoshita is widely regarded as having more breadth as a director than any other in Japan. 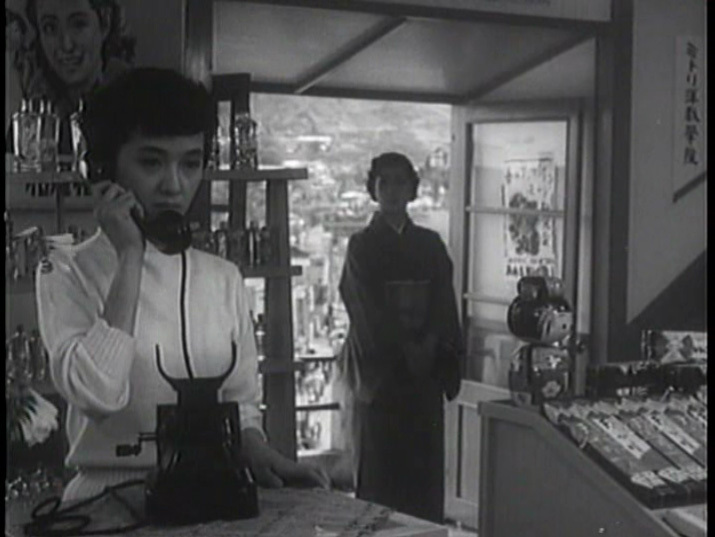 Just comparing this film with the other Panorama Kinoshita DVD release TWENTY-FOUR EYES (made the following year in 1954) is quite astonishing. Every film for him - 42 in 23 years - was a chance to experiment. He pushed long takes to the limit with deep focus long shots; he tried fast cutting action; he approached *all* genres and was wildly successful at almost everything he tried his hand at, yet he remained modestly unimpressed with his jack-of-all-trades approach describing it as "half-baked". Masaki Kobayashi (a pupil of Kinoshita) believed that Kinoshita's genius lay precisely in his wide-ranging breadth and fearlessness. 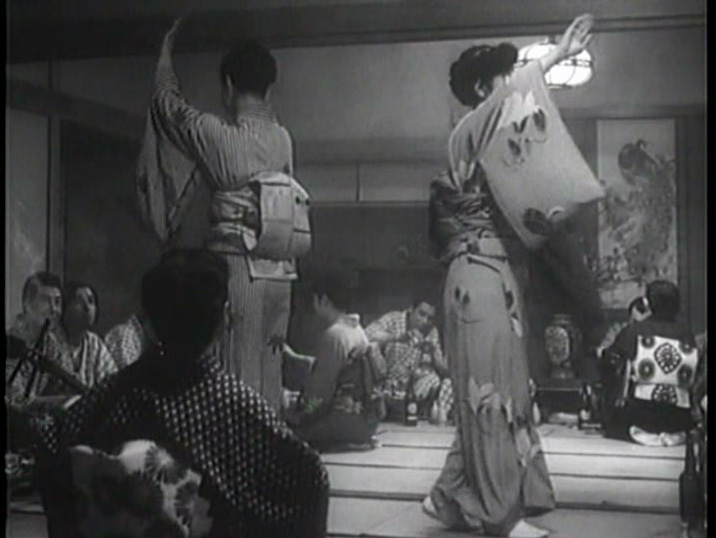 Indeed, according to Audie Bock's marvellous book "JAPANESE FILM DIRECTORS" (from which the DVD text extras liberally quote) Kinoshita's films were more liked in Japan and more successful than both Kurosawa and Mizoguchi at the time of release. Within 15 minutes it becomes apparent that this is a major film by a major filmmaker. 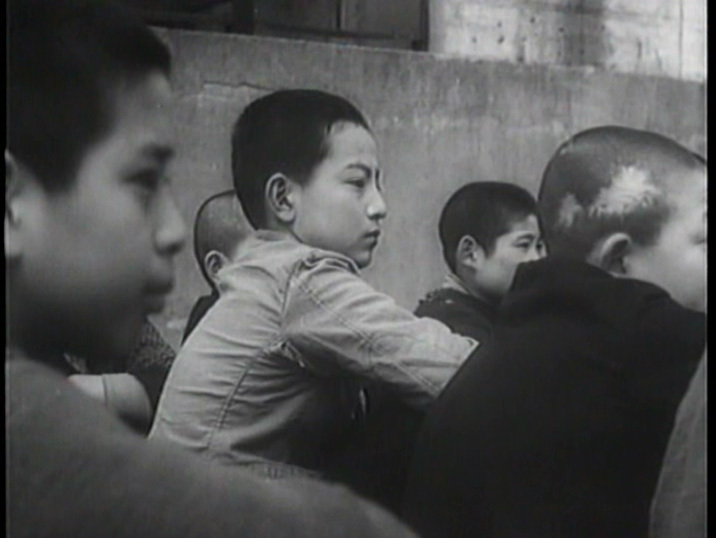 The way the film unfolds, interspersed with genuine newsreel footage to underline the poverty and atmosphere of postwar Japan, is tremendously effective and as brilliantly fresh today as I expect it was when it was made. 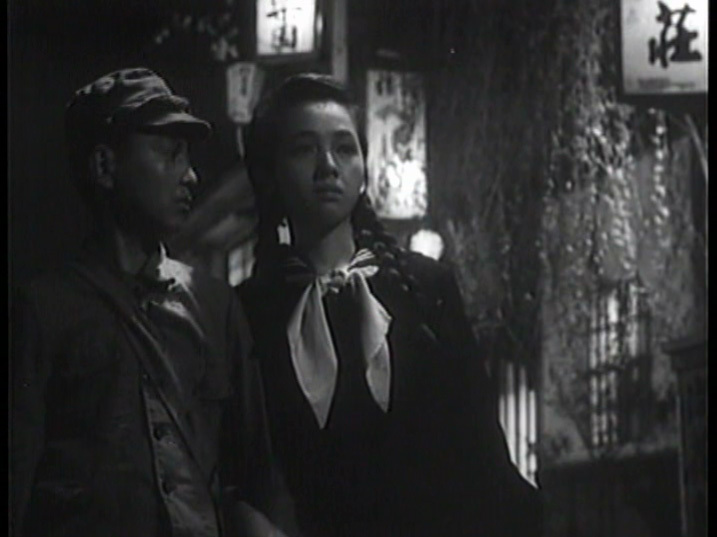 Throughout the film, the mother (Yuko Mochizuki) occasionally has flashbacks which are presented without sound. 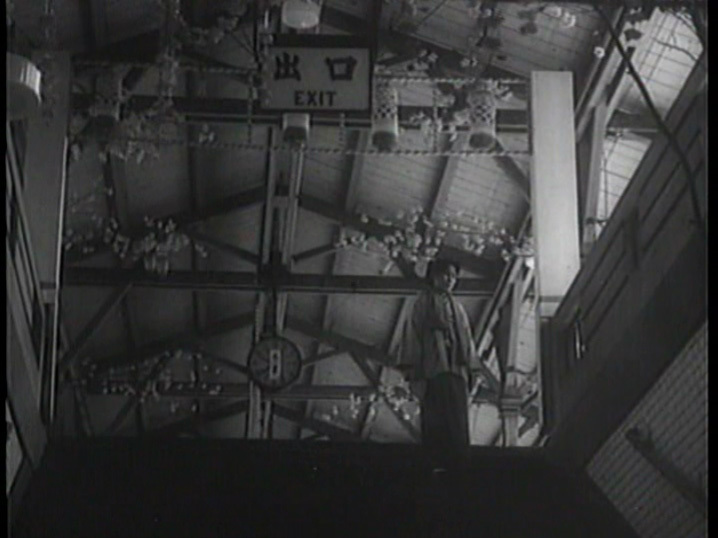 This stark, simple device - one which is rarely used in sound cinema - concentrates all the viewer's attention on the flashbacks' significance and reinforces her feelings in a particularly unique way. I don't want to give much away about the plot - suffice to say I was glued to this throughout. 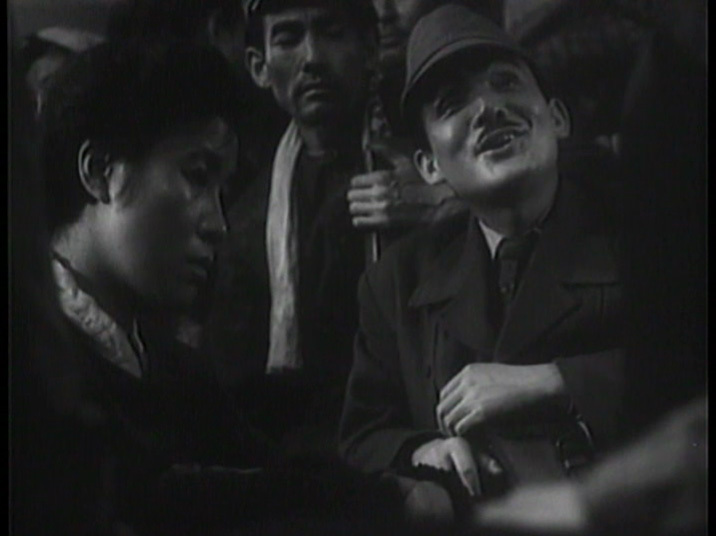 [Lovely to see Ozu regular Keiji Sada in a small part as a down-on-his-luck guitarist (Sada unfortunately died in a car accident in 1964 aged 38)]. Rarely written about, this film is astonishing, and deserves a place in every cineaste's DVD collection. 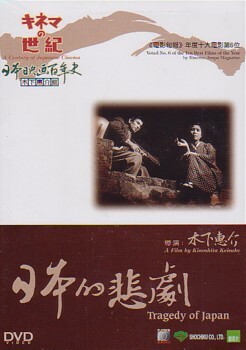 This disc was released in early 2003 by Panorama (Hong Kong) at the same time as Kinoshita's equally marvelous TWENTY-FOUR EYES (see DVDBeaver review HERE. 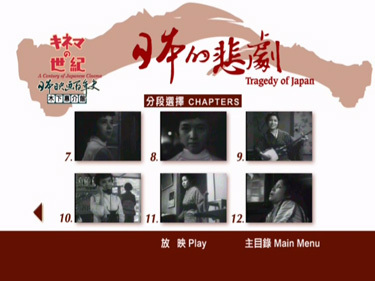 The quality of this disc is the same as TWENTY-FOUR EYES, ie. not ideal. It is un-restored and looks like an old TV print. The subtitles are okay 90% of the time. There is sloppy spelling, missing letters and poor grammar but it is totally coherent on the whole and I've seen much worse. Occasionally the print looks very good, but most of the time is littered with light scratches and print damage. 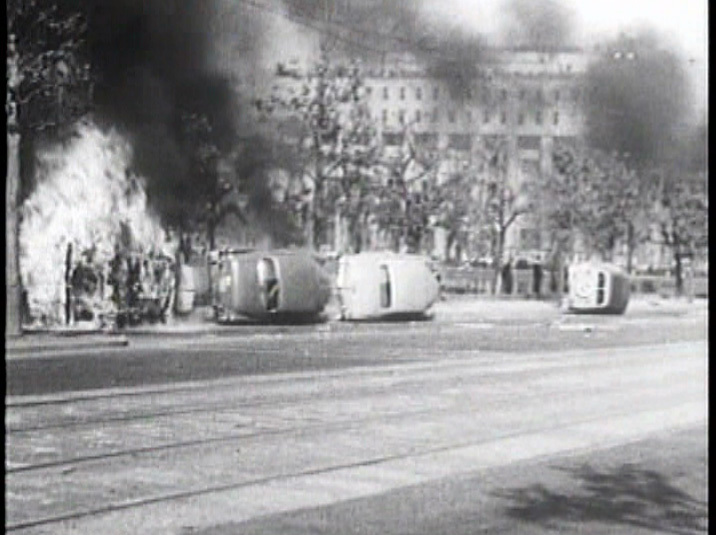 The screengrab of the overturned cars is newsreel footage and does not give an indication of how the rest of the film looks (unlike the other grabs). Despite the lacklustre quality of the print, the DVD is perfectly watchable (think 1970s amateur film club screening, rather than Criterion luminosity). As with TWENTY-FOUR EYES, this film is absolutely crying out for the Criterion treatment, but in the meantime, where else would you see such a gem? 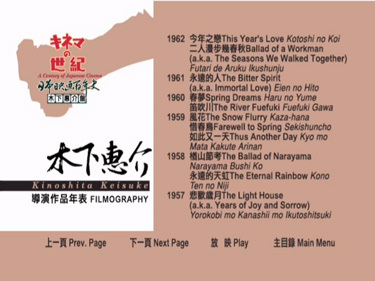 [Panorama are supposedly prepping CARMEN COMES HOME (Kinoshita, 1951) for DVD release (Japan's first ever colour film)].